Pioneers in the industry, we offer 2 Pcs Gift Set, 3 Pcs Gift Set, 8 Pcs Gift Set, 9 Pcs Gift Set and Gift Sets from India. Less fuel consumption, less oil consumption and steaming perfection. With Dosa Tawa at home say good -bye to scraping and struggling while making Dosa's. Light and crisp Dosa's will now be ready in minutes. 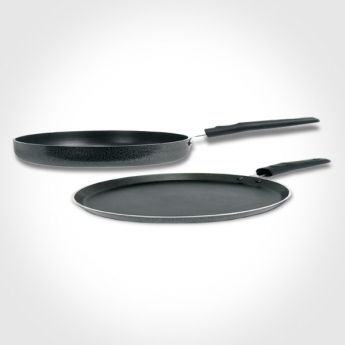 The flat griddle makes it easier to spread the batter evenly. Kadhai is long lasting and lower gas consumption. Being non stick cookware it is easier to stir.